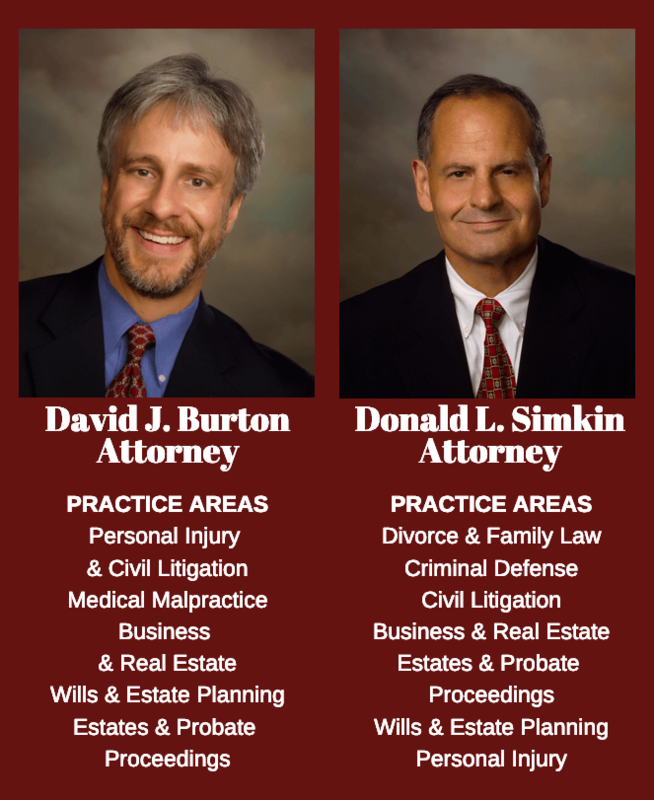 Founded in 1965, Burton & Simkin serves a range of legal needs for people and businesses in Richmond/Wayne County and throughout Eastern Indiana. Our philosophy is simple. Our clients come first. We work diligently to see that you achieve your goals, have sound legal representation and protection, and are compensated justly if you have been wronged. Our fees are reasonable and in cases of personal injury and medical malpractice we accept no fee except on collection. If you are facing a legal challenge, you'll be comforted to know that our attorneys are seasoned professionals with a history of success in every area of our practice.